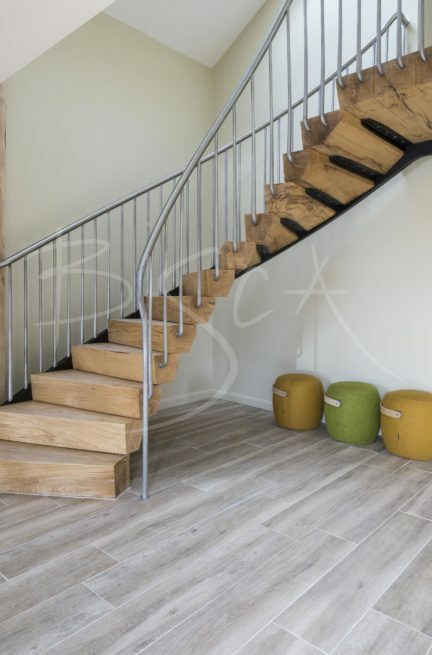 Steel & Rustic Oak Staircase for Extension to Listed Building. 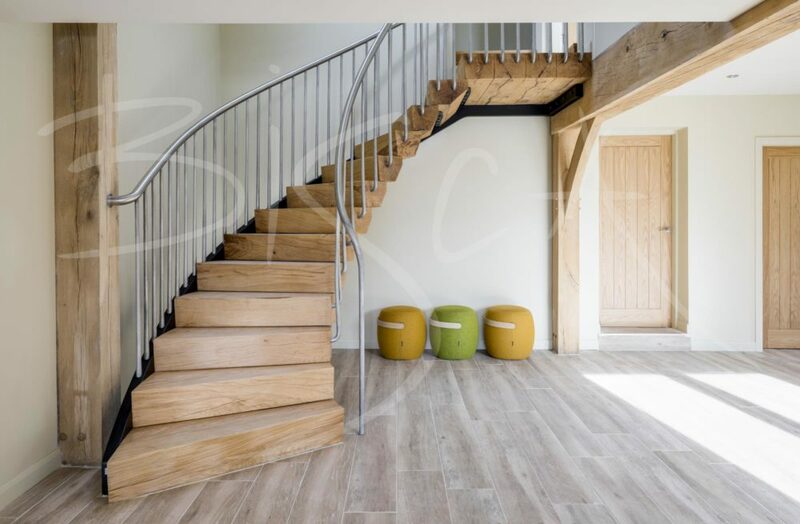 A staircase inspired by the rustic oak beams in a formal, double height space. The stair is a linking feature between the old house and the new contemporary extension. 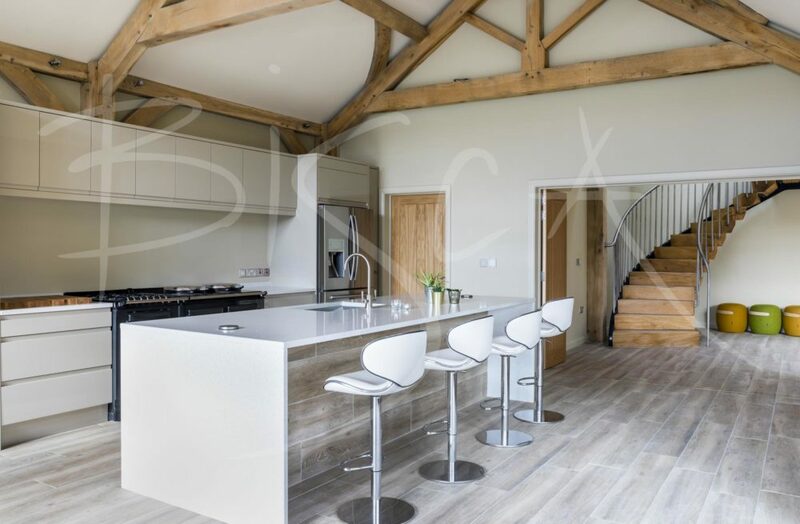 The clients wanted to explore the possibilities of the space, and interested in green oak. 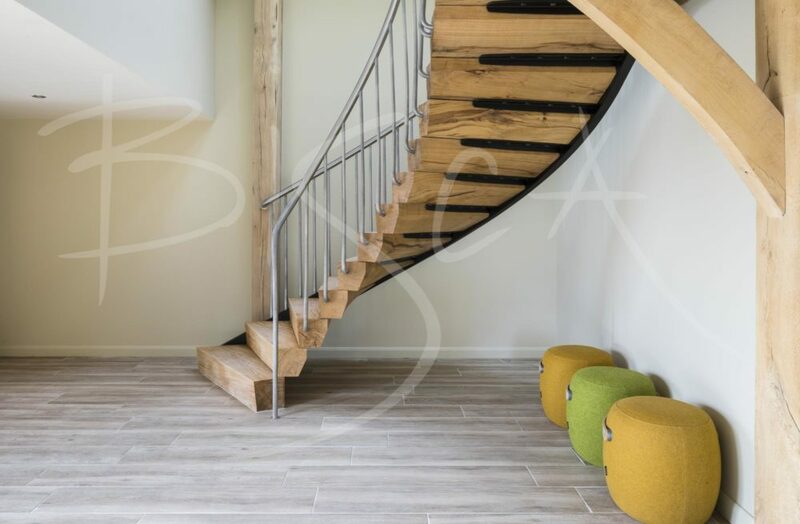 A substantial, yet elegant helical stair, flaring out into the entrance hall. The main structure of blackened steel is to the outside of the stair. This creates a feature when viewed from the underside. Cantilevered solid oak treads have been hand carved from blocks of solid oak. Treads feature a raked back rise, with sculptured underside. 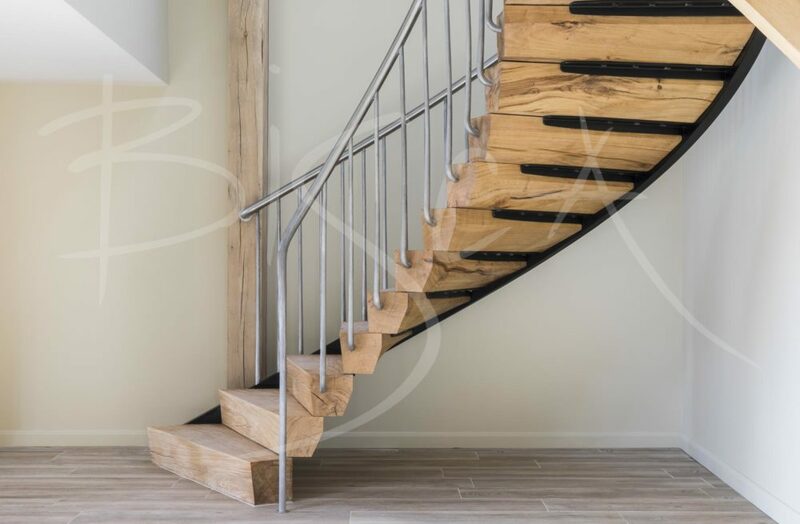 A textured stainless steel handrail sits on hand forged, tapered stainless steel uprights. The handrail sweeps down from the first floor balustrade to the ground, ending in a feature newel. On the outside the handrail returns into the structure of the building. For more information about this project please mention 5029.